As a locally based, independent practice, RMA Surveyors Ltd utilise a wealth of experience surveying properties of all types in the Streatley area. With a business based on mutual trust and reliability, we offer a personal service designed to help clients gather all the information they need when considering a property purchase. With experience surveying all property types, including older listed properties, our professional team of chartered surveyors provide expert and in depth surveys for all of our clients. 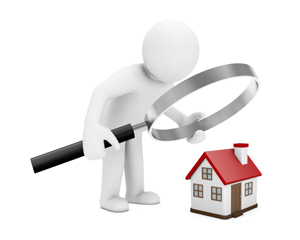 Although a Mortgage Valuation is often recommended, as professional surveyors RMA Surveyors Ltd will always recommend a more in depth report be conducted on the property in question. A Mortgage Valuation is purely for the benefit of the lender and is solely a report to determine whether or not the property provides sufficient security for the bank to lend upon. Therefore, as a home is one of the most important investments we often make in our lifetime, it is essential that a more thorough analysis is conducted on the property, to give you as the new owner complete peace of mind. With a number of surveys available, RMA Surveyors Ltd are able to provide clients with essential advice when it comes to negotiating the cost of a property. With a detailed Building Survey, the report will cover the essential structure of the property as well as looking at all visible and accessible areas within the property, paying close attention to the potential problem areas. The report will highlight any immediate and urgent issues such as damp, rot, mould and even the presence of asbestos and will also offer expert advice on how to resolve these issues. A detailed Building Survey will provide enough information to our clients so that they can make an informed decision when considering the purchase of a property. If the report highlights any problems or issues that may affect the overall value of the house, for example, the buyer can then re-negotiate the price of the purchase based on these findings. Our detailed Building surveys save our clients thousands of pounds. RMA Surveyors Ltd have extensive experience working in and around Streatley, including the surrounding towns and villages such as Goring, South Stoke, Moulsford, Woodcote, Ashampstead, Aldworth and further afield where necessary. Whether you are a first time buyer looking to buy a property in Streatley, you are a landlord looking for a buy-to-let property or you are purchasing a property for another reason, RMA Surveyors Ltd take pride in going above and beyond the call of duty in order to provide all our clients with detailed reports that provide them with everything they need to know as to the condition of the property. To find out more about the services we provide, or to book an appointment please get in touch with our professional team today. Fill in the form below or call us on 01635 579208 where we will be happy to answer any questions you might have. We hope to hear from you soon.